Consumers are the reason a company exists, and with whose help the latter blossoms. The fulfillment of the best interests of these most important stakeholders, thus, becomes an unsaid duty for any enterprise. The concept of Consumer Social Responsibility (CSR) approach in business helps companies take initiatives towards this. One such initiative was recently taken up by Keventers, one of India’s oldest milkshake brands, in collaboration with the volunteer based organization, The Robin Hood Army, which works to get surplus food from restaurants to needy people in cities across India. In this undertaking, milk was distributed to underprivileged children and women in Delhi and NOIDA. 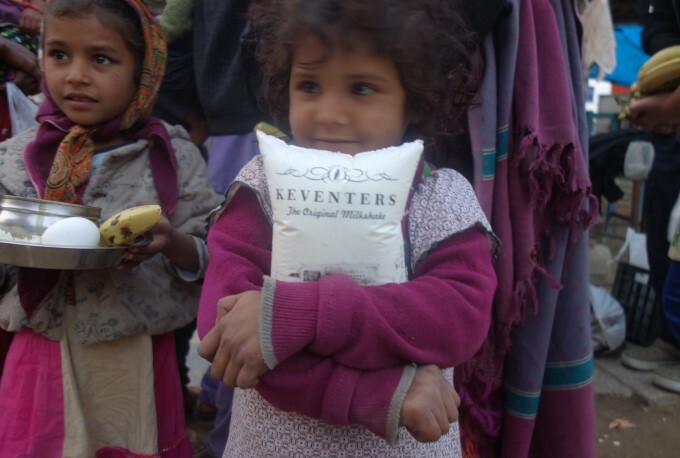 Many Asian countries also joined hands with Keventers for this benevolent effort to combat and bring to notice the issue of child malnutrition. After all, children are the future of a nation; their growth is equivalent to the nation’s development. Moves like this help brighten up lives, while at the same time helping in good resource management and putting to the best use what would have, otherwise, become waste. This was the first such initiative by Keventers, and commenting on the step, CEO and Director of the milkshake brand, Mr. Sohrab Sitaram, promised more such endeavours by the company. CSR activities not only help social causes, but also contribute to sustainable development by delivering economic and environmental benefits. Such efforts on the part of any organization are congratulatory as they have the power to transform our society and the world into something much better. We wish all the best to all organizations implementing or planning such acts!